The cocoa bean, also known as cacao, has been one of the most significant culinary discoveries in the history of human civilization. These dried and fermented seeds of the Theobroma cacao (Cocoa tree) provide cocoa solids and cocoa butter, used to make chocolate, one of the most popular food preparations on the planet. The use of cocoa by humans goes back thousands of years, with ancient cultures like the Mayans consuming the beans of cocoa tree. Since then, all the way up to the modern day, cocoa has continued to be a major part of culinary culture and gastronomy all over the world, and there's no better place to experience the joys of cocoa and learn more about this amazing tree and bean than at the Cocoa Research Centre at the St Augustine Campus of The University of the West Indies on the Caribbean island of Trinidad. The Cocoa Research Centre is located at the following address: Sir Frank Stockdale Building The University of the West Indies, St. Augustine, Trinidad, West Indies. If you'd like to contact the Cocoa Centre to learn more about this unique research and discovery location, you can call up 868 662 8788. 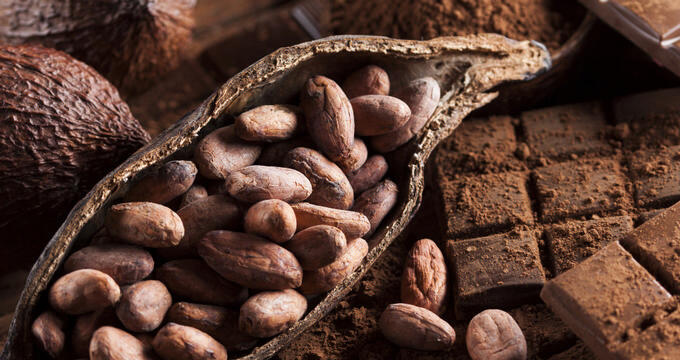 The Cocoa Research Centre has been researching the ins and outs of cocoa and supporting the global cocoa industry for no less than eight decades already and continues to be a leading light for the cocoa world in the modern era. Running various projects and studies into cocoa, while also offering various services and special celebrations like chocolate making courses and World Cocoa and Chocolate Day festivities, the Cocoa Centre manages to do the impossible, making chocolate even more exciting and enjoyable than it was before. If you'd like to become a chocolate expert to further your career or chosen profession or simply to learn more about the various industries associated with cocoa, the Cocoa Centre at Trinidad runs various courses and lessons in both on-demand and scheduled formats for people of various experience levels. One of the most popular options for training at the Cocoa Research Centre is the Chocolate Making Course. The Introductory Chocolate Making Course at the Cocoa Research Centre is a five day course that offers an in depth, behind the scenes look at the chocolate making industry. This short but highly informative and entertaining course takes a full look at how chocolate is making, following the journey along every single step of the way, beginning with the collection of cocoa beans, following onto the fermentation and drying processes, the art of actually making the chocolate, the concepts of creating different flavors, packaging and marketing chocolate in different ways around the world, and even the various business techniques and skills that come into play when it comes to selling chocolate. This chocolate making course also comes with the opportunity to actually make some of your own chocolate. You'll be able to roast your very own cocoa beans and then plan out the creation of your chocolate, even being able to design some packaging for your chocolatey innovation. From there, you'll be able to mould and formulate your own chocolates and bars into the shapes and styles you want. This course runs several times throughout the year, with registrations opening up several months in advance. The course costs a total of TT$5,000 per person, which converts to around $740, so if you’ve ever wanted to try making some chocolate and learning all about this incredible process, it’s a great option to choose. As well as chocolate making courses, chocolate certification, and countless research and development projects, the Cocoa Research Centre also provides amazing Genebank Tours for guests to enjoy. There's no experience quite like this anywhere else in the world, with the International Cocoa Genebank tours of the Cocoa Research Centre in Trinidad allowing guests to roam around a beautiful haven of cocoa and Immortelle shade trees, home to all sorts of wildlife. With 37 acres of land to explore, the tours are always unique and exciting, allowing guests to plunge themselves into a tropical jungle paradise. Each tour goes around at least one of the six major cocoa fields at the Cocoa Genebank, with experienced, passionate guides leading the way and teaching you all about the cocoa industry.